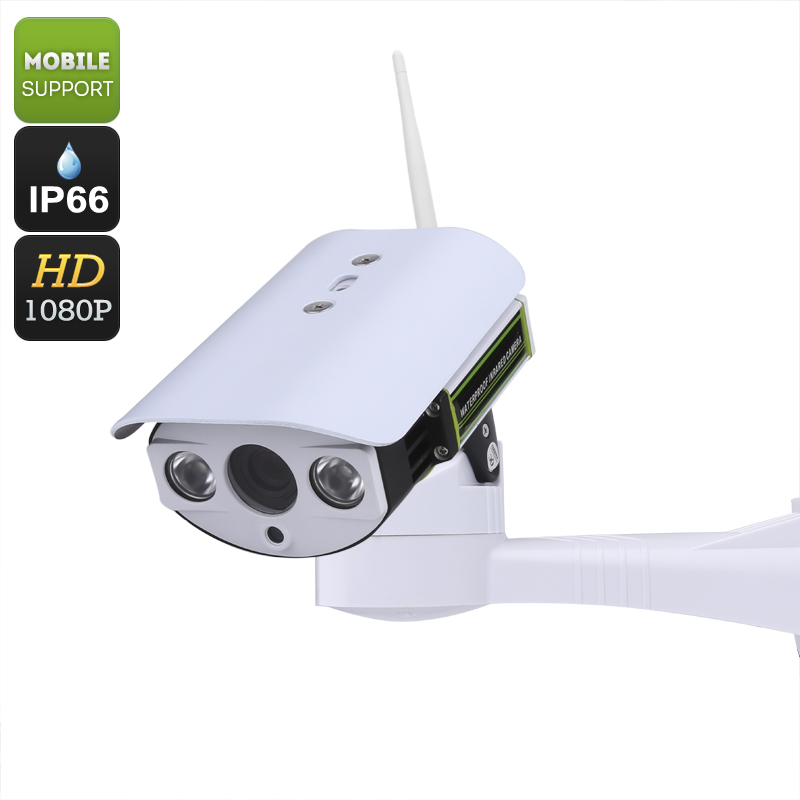 Successfully Added Full HD PTZ IP Camera - 1/2.8 Inch CMOS, 1080P Recordings, Motion Detection, Mobile Support, 50M Night Vision, IP66, ONVIF to your Shopping Cart. This exceptional IP camera will take your surveillance and monitoring to the next level. With its 255 degrees rotational panning and 60 degrees tilt, this HD IP camera can handle the job of monitoring a large area. A 6 to 22 mm lens allows for a 4 times zoom magnification and with autofocus allows this 1080P camera to pick out distant objects in great detail. Using its auto tour scanning, a route covering 8 preset positions allows the camera to take in details from all around - alternatively connect via the mobile app or with an RS485 compatible controller you can take full command in adjusting the cameras angle while viewing the live feed so you can quickly move the camera and focus on different objects in the scene while viewing the live feed from wherever you are. With both Wi-Fi and wired connectivity this PTZ IP camera can record in full HD resolutions at 25 frames per second ensuring your security will benefit from premium quality live viewing and recordings. With sharper details, these undistorted images will allow you to easily identify any perpetrators of felonious acts ensuring they can be held responsible. 2 SMD array lights with LEDiL precision-engineered lenses bring effective night vision for up to 50 meters. With IR cut and working down to 0 Lux, this powerful optics setup enables around the clock quality surveillance. This outdoor IP camera has an IP66 waterproof rating so its equality suited to both indoor or outdoor operations such as warehouses, parking garages, storage facilities and yards. Thanks to the intelligent alarms and motion detection you will always be alerted to any detected activity via email of push notification, added to that this camera has ONVIF compliance and is an ideal start or addition to any home or business security system. This IP66 waterproof PTZ IP camera comes with a 12 months warranty, brought to you by the leader in electronic devices as well as wholesale PTZ cameras..